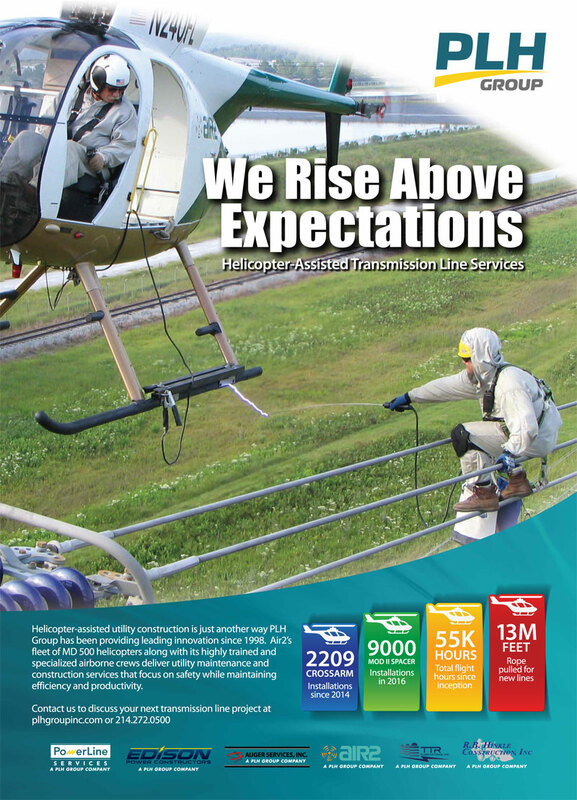 As seen in T&D World, helicopter assisted utility construction is just another way PLH Group has been providing leading innovation since 1998. The Air2, LLC fleet of MD 500 helicopters along with its highly trained and specialized airborne crews deliver utility maintenance and construction services that focus on safety while maintaining efficiency and productivity. The numbers speak for themselves, 2,209 crossarm installations since 2014, 9,000 Mod II Spacer installations in 2016, 55,000 total flight hours since inception and 13,000,000 feet rope pulled for new lines. Air2 has been very busy making sure high voltage transmission lines that carry power all over United States are kept safe, operating and maintained using helicopters. Need a proposal for maintenance of power lines in a remote location or power lines over water? Email us or call 410-560-5620.